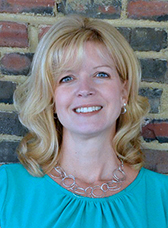 A resident of Bloomington for more than 20 years, Loni attended Indiana University Bloomington and earned a Bachelor of Arts degree in Spanish, with a minor in French, as well as a Masters degree in Language Education. She was a 1992-93 participant in the IU Office of Overseas Studies year-long program in Madrid, Spain. This experience shaped her career path and gave her lasting connections with Spanish-speaking people and communities. Earlier in her professional life, Loni taught Spanish for Brown County Middle and High Schools, before starting a business in Bloomington that offered Spanish classes and summer camps for local preschool and elementary children. This business eventually developed into a language instruction studio, where various instructors offered interactive afterschool and weekend classes in Spanish, Russian, German, and French to children and teens. Just prior to being selected as the Managing Director for IUHPFL, she was the project manager for the 2014 Burma Youth Leadership Program through the IU Office of International Development.